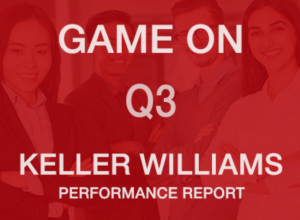 The third quarter has come to a close, and Keller Williams agents have surpassed significant milestones in growth and technology. Since 2011, the company has grown by more than 100,000 agents in the United States and Canada – further solidifying KW as the world’s largest real estate franchise by agent count with more than 980 offices and 190,000 associates. Keller Williams is also no. 1 in units and sales volume in the United States. The Growth Initiative – established and led by KW president and CEO John Davis – is at the core of this tremendous success. The innovative business leadership program empowers leadership teams with unique systems, models, and tools to generate predictable and sustainable growth in market share and profitability. The franchise is now home to 166,854 agents in the United States and 3,276 in Canada, as of Sept. 30.